Growing up I studied at a convent school .Christmas was a big deal at school . Raising money for Christmas events at the orphanage run by our missionary sisters ,were a part of our school activity. It earned us extra credit .Also our teachers were strict about not letting parents give the money. Rather they wanted us to learn the secret of asking people for money and getting it with a smile. That was my first exposure at working for a cause. When I tell my daughter about Christmas I try to teach her about this part of Christmas . How he gave up his life still caring about others. When we think about others and care for each other ,life becomes more beautiful. But my daughter is 4 .So all this often leaves her looking wide-eyed at me. She ends my stories with a hug and plenty of kisses .Telling me she loves me and her father and her granny and Mimi (my little sister ) and all her friends. Caring about people you don’t know is a concept that’s alien to most .So no wonder a child looks confused. That’s one thing I want to teach my little girl . When I started my blog I had one major goal. I wanted people to embrace a healthy lifestyle while enjoying life. Now healthy life is impossible if we don’t eat healthy. That’s why I absolutely love baking cookies with a healthy twist . Baking with Rai is fun.We have a competition Who can lick the bowl faster! They are great for her school Tiffin and afternoon snacking. Plus I got this great idea of gifting friends home-made cookies from Divya. It’s fun and pocket friendly . Baking at home and Christmas go hand in hand. Another thing I absolutely love is decorating the Christmas tree with Rai. I have a potted fern which we decorate with ornaments that we buy and some that we make. Love making Christmas garlands to deck up the home. Christmas is also a time to remember about persistence. About perseverance. About doing things because they are right It’s about family and friends. It’s about selflessness. It’s about giving .It’s about remembering that giving is always difficult .But receiving may be even more of a problem. When you give be open to receiving, because for both you need to be ready . Have a fantastic Christmas and keep shining. Love yourself because you are a fabulous mommy and those little eyes are looking at you. Last week for our #MondayMommyMoments Geethica is our winner. We shared out favourite baby products and hopefully along the way new moms can be helped by these recommendations. As bloggers and mommies we have a unique opportunity. To spread our knowledge and experience across boundaries to help moms everywhere. When you write with us its the best way to give a shout out to the brands who are doing great work. There’s no harm in appreciation and encouragement tight? This blog hop is a chance to share your special moments with us.You never know who gets helped using your tips. We have simple tips for this linky. Just comment on this post and my co-hosts post and any two of the posts in the link up. That’s a total of 4 posts we want you to give some love . Did you know reading blogs makes your Alexa better? We deeply believe in community spirit.Eagerly looking forward to visiting your blogs. Prompts will be announced every Sunday at 12.00 hrs IST. We would love to have you join our blog members.Just enter your email in the subscription box. Pro Tip – Networking and commenting is good for your blog’s health and ranks. Comment rules: 2 sentence at least 15 words and should be relevant to the main post. 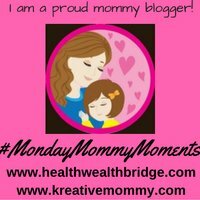 Use #Mondaymommymoments or #MMM in your post and share in social media using the same hashtag. Every week we will have one featured blogger who is the best reflection of this community spirit. Very helpful post for Christmas celebration. Thanks for sharing. Baking is a fun thing to do. But when done with little ones, it seems more exciting. 😀 I don’t have a little siblings but I do make sure to bake often with my twin sister. It’s a stress buster for me. What a beautiful post. We are religious so for us Christmas is a birthday party for Jesus. That’s the best thing about Christmas. It’s a birthday celebration. Our family traditions are my favorite part of the holidays. Baking cookies is a must every year. Helping unknown people surprises many of us today so no wonder why Rai looked surprised at you. But yes we need to teach them the of helping society in order to be successful ourselves. The cake looks really yummy. True Geethica. Thanks for reading. I love this! We spend the season with family, our church family, and doing traditions that focus on love and Jesus. This is my favorite time of the year. What an incredible way to teach your little girl! I too love baking cookies and cupcakes. Sharing, loving and caring is true spirit of the Christmas! I think it’s great that you bake together! That’s so sweet and such a wonderful way to spend time together. I’m a cookie fiend but also am trying to eat healthy. Thanks for the tip! Happy holidays to you and your family! You are doing such a great job. You are correct, it is not about us. Christmas is about showing the love of Christ to all and celebrating Him. Thanks for this reminder. Aside from cooking lots of food, my Mom always bombarded us with Disney movies.. hhahaha we never go old watching it during holidays. I love that you guys bake together! What a great way to spend time together! Your decorated potted plant looks cute too! I love the ‘who can lick the bowl faster’ competition too! Well done. Great post! I love decorating, baking treats, and just BEING with my kids this time of year and in general! So many special moments are made during the holidays! It’s beautiful that you are teaching your kids about the real meaning of Christmas. The tree, gifts and the snow are important but it’s all about the God coming to this world, right? I think most people just seem to forget about it. My Momma loves to cook more food a day before Christmas Eve in order to avoid the cooking during that day, and more time bonding with us. I don’t have any children but I usually visit my mom, cook together in the kitchen and host a dinner with the rest of the family. The one thing I liked most about this post of what you do is you bring in jesus and discuss about his sacrifice with your daughter. While everything is becoming commercial, same goes for christmas too. Not many remember jesus. Yours is the only post around christmas which does not only talk about doing – activities, shopping, baking etc. Yes its time we remembered.Before it’s too late. Your statement that “Caring about people you don’t know is a concept that’s alien to most ” is so true. But you seem to be leading by example – a great example. That’s the best gift you could ever give to your children. Great job Mom! Thanks a lot. That’s such a nice comment.I just might have to frame it. I usually eat too many around Christmas. That’s great that you can make cookies with a healthy twist. love to try some. I love how dedicated you are to your blog and children. I loved hearing about your childhood and how you learned about Jesus. We do lots of fun activities around here for Christmas. Baking cookies, decorating the tree and house, and lots of other cool projects. Kids learn in so many different ways. This was an interesting approach. I like to decorate with my kids. Plus we do bake some cookies, even though I hate baking. We also watch Christmas movies! It always is a lot of fun. Very true. Thanks for reading. Agree Amrita..Our kids learn a lot from us and it’s important to teach them all the goodness of festivals too. Christmas is a fun festival for them as they enjoy meeting santaclaus, baking cookies, receiving gifts etc. I feel it’s important to include them in the celebrations as this is a fun way to learn about it too.